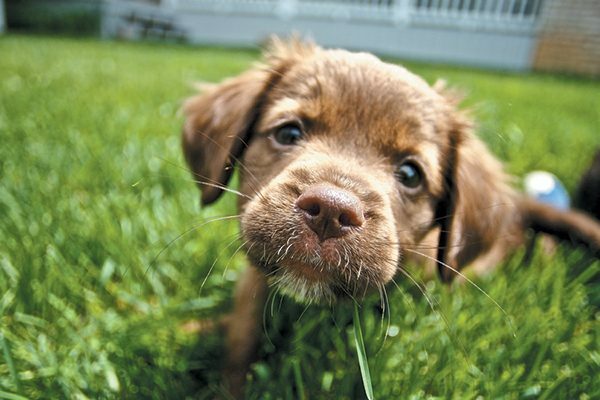 The post Dug Up at Dogster: March 2019 Dog Events by Melissa Kauffman appeared first on Dogster. Copying over entire articles infringes on copyright laws. You may not be aware of it, but all of these articles were assigned, contracted and paid for, so they aren’t considered public domain. However, we appreciate that you like the article and would love it if you continued sharing just the first paragraph of an article, then linking out to the rest of the piece on Dogster.com. Looking for something for you and your put to do or the latest dog-themed premiere? We’ve got you covered with our March 2019 Dog Events list. Don’t see an event you know dog fans would love on here? No worries. Send an email with the dog event information and dog photo to dogstermag@belvoir.com. We’ll be sure to post your event in our 2019 dog event listings. Head out to The Pomona Fairplex in Pomona, California, for the 3rd annual Beverly Hills Dog Show presented by Purina. Can’t make it to Pomona? Don’t worry — it will air on NBC Sports. The Beverly Hills Dog Show is an unparalleled event for dog lovers celebrating top-notch canine elegance and hosted by John O’Hurley, David Frei and Mary Carillo. Follow on Facebook @BevHillsDogShow. Discover the evolution of everyone’s favorite dog — Snoopy — and the influences that brought him to life. This exhibit at the Charles M. Schulz Museum in Santa Rosa, California, also explores the wildly imaginative life of this beloved cartoon canine. You’ll also see how Snoopy fits into the historic landscape of comic dogs, plus his many professions, personas and relationships with other Peanuts characters. Exhibit runs from September 22, 2018 through March 10, 2019. More on the exhibit and museum at schulzmuseum.org. You’ll love this total parade created for dogs and their humans, taking place on the Sunday after Mardi Gras — this year that’s March 10 – on the lakefront in Mandeville, Louisiana. Parade starts rolling at 2 p.m. and is the happiest,yappiest event of the entire Carnival season. This year’s theme is “SuperPaws,” and the lakefront will be transformed into a “Bark a Con” that celebrates everything about comic book culture. Four-legged participants must be in a costume that reflects this theme, and floats can be made of wagons, yard carts, baby strollers, shopping carts … nearly any non-motorized, wheeled object can work. Judges will award prizes in a variety of categories. There’s a $25 registration fee per pooch, and up to six humans can accompany their companion. Human escorts are encouraged to dress to the theme, too. Pre-register and get more information at MardiPaws.com. 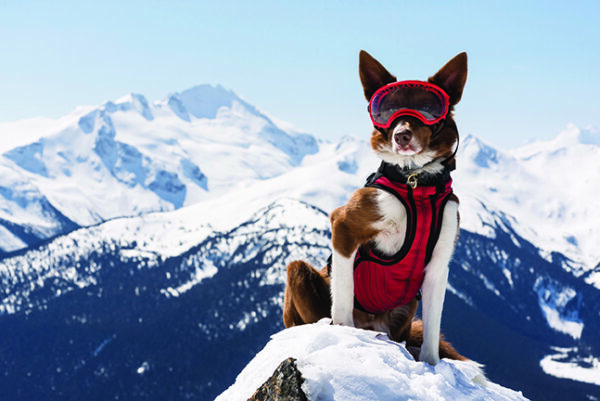 Henry, Avalanche Rescue, Superpower Dogs/©Phil Tifo for Cosmic Picture Ltd. Fill up on popcorn at the premiere of Superpower Dogs sponsored by Mars Petcare, an inspiring documentary chronicling working dogs and their human partners. The immersive IMAX Experience puts you in the heart of the action with Halo, Henry, Reef, Ricochet, Tipper and Tony fighting for, saving and transforming lives. Theaters, times and more @SuperpowerDogs and superpowerdogs.com. 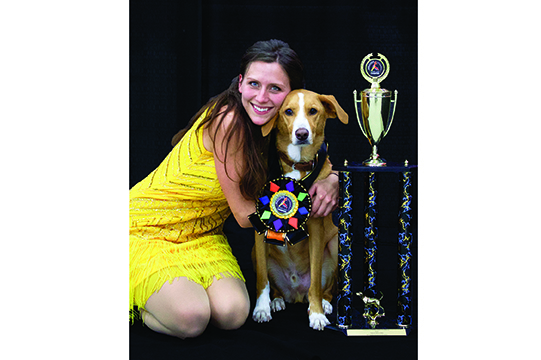 2018 National Stunt Dog Champions Chrissy Joy and Beasley. Wish your dog could do more than sit and stay? Go to Trick Dog Expo, the world’s largest trick dog sports event. Produced by Do More with Your Dog, TriDEx hosts 300 expo attendees, 16 exhibitor booths and 300 ring trial competitions. Attend workshops, demos, listen to speakers and take part in the 2K-9 Fun Run. Don’t miss the Stunt Dog Nationals and the crowning of the National Trick Dog Champion. More at domorewithyourdog.com. 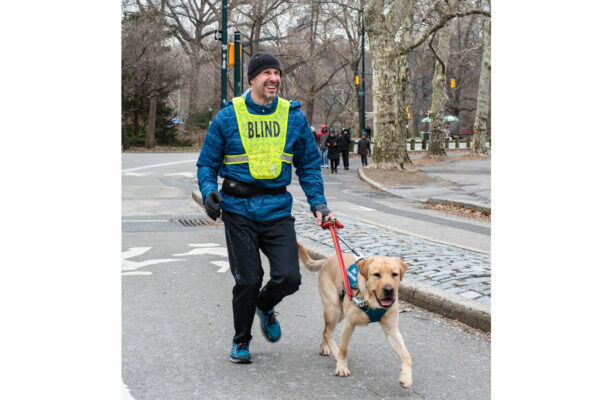 Accomplished distance runner and President/CEO of Guiding Eyes for the Blind Thomas Panek to run the United Airlines NYC Half marathon with several running guide dogs, including yellow Labrador Retriever Yukon. Cheer on Thomas Panek, as for the first time, a blind runner will run this race — guided by a relay of three running guide dogs instead of human guides. These dogs are trained by Guiding Eyes for the Blind, a nonprofit organization that has been training service dogs for people with vision loss for the past 65 years. Thomas is running to raise awareness and funds to provide athletes who are blind with a service dog capable of guiding while running. An accomplished distance runner who is blind, Thomas will partner with a relay of three Labrador Retrievers who will pace him one at a time on the 13.1-mile race course. A team of veterinarians and volunteers stationed along the course will provide vet check-ups and ensure the team’s hydration, health and safety. Three yellow labs, Lynx, Waffle and Yukon, and one black lab, Westley, are logging in miles training for the upcoming race. Gus, a yellow lab and the first running guide dog to complete a sanctioned New York Road Runners and Boston Athletic Association Event as a running guide, will pace Panek for the final 5K across the finish line. Gus will officially retire as Thomas’ personal guide dog and running partner and trade in his Ruffwear UniFly Guide Dog Harness for a medal. For more information on Guiding Eyes, go to guidingeyes.org. It’s National Puppy Day! Photography ©MinnickMedia | Getty Images.